WHY SELL TO EMPIRE RARE COINS? We are always in need of new coins for inventory, and we'll pay you top prices to get them! This is not an empty promise. 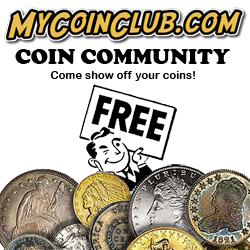 We are retailers and need quantities of U.S. coins each month. We have regular wholesale dealers that sell to us every month. They advertise and buy from collectors, then sell to retailers like Empire. They know what we pay, and they pay 20-30% less to give themselves a reasonable profit margin. Avoid the middleman and get top dollar for your coins by selling them directly to Empire! Use our 'Buying Formula', listed below, to get an idea what your coins will bring. Shop your coins to our P.O. Box by insured mail, and we'll have our top dollar check and invoice in the mail within 24 hours! WE PAY TOP DOLLAR--WE PAY IMMEDIATELY--TRANSACTIONS ARE CONFIDENTIAL! We buy almost any U.S. coins of value. This includes nearly all coins from Half Cents to Dollars. We do NOT buy foreign coins or currency at this time. There are a few types of coins we do not recommend shipping due to the heavy weight and small premium over face value. These include bulk common Wheat Cents, circulated common Jefferson Nickels, circulated Kennedy Half Dollars, circulated Ike Dollars or BU SBA, Sacagawea Dollars and Presidential Dollars, although we do purchase proofs issues of these coins. Use common sense when shipping coins. If you found the coin in pocket change and it looks old, it is most likely not worth much above face value. If you are in doubt of any coins to send to us, please CONTACT US first and we will get back to you quickly. We are interested in pretty much any other types of U.S. coin and will buy it, not send it back to you like some companies do. Please note that we only buy U.S. coins, no foreign coins please. HOW MUCH DO WE PAY?? To bring in a wide selection of coins, we pay top dollar for your coins! To get an idea of how much we will pay you for your coins, please view the chart below. If you see a similar coin for sale on our website, find the price of the coin on the left side of the chart. The right side of the chart will show you the percentage of the price that we pay. 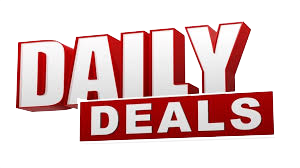 For instance, if you are selling a coin that we would list for $75.00, we will pay you between $52.00 and $56.00. If you are selling a coin that we would list for $160.00, we will pay you around $120.00! Whether it be buying or selling, we want your repeat business and are willing to go the extra mile to get it! If you have not sold coins to us before, try sending a small box and we are sure you will be pleased, and we guarantee it! If you are not satisfied with our purchase offer, we will return the coins to you at our expense. You have absolutely nothing to lose! We list our approximate "Buying Price" next to each coin. This is the price we will pay you for an identical coin or coin of same value. As you will see, we are paying very close to what we sell it for as compared to most companies. We are doing this in efforts to acquire a larger variety of coins. If we pay you more than the rest, we hope to have your repeat business! It's easy to ship your coins to us! Simply package your coins securely in an envelope or box. If you are sending just a few raw (non certified) coins, an envelope is sufficient. If you are sending more than a few coins or coins that are certified, it is best to ship in a box or a bubble-wrap lined envelope. As the mail can sometimes be a bit rough, be sure that the coins are packaged where they cannot move around. Coin mailers, bubble wrap or styrofoam 'peanuts' are good for packing coins. For heavy shipments, we recommend trying the two different sized Flat Rate Priority Mail boxes (Two pictured boxes on the left). For a little over $10.00, you can pack as much as you can fit in the oversized box! We also recommend you insure your coins for your estimated value. Be sure to include your name, address and e-mail or phone number and ship to the address at the top of this page. We will contact you within 24 hours of receipt with our best possible offer! Note: If you would like some price quotes for some specific coins to get a general idea of our buying prices, please CONTACT US or give us a call toll free at 1-800-524-2431.